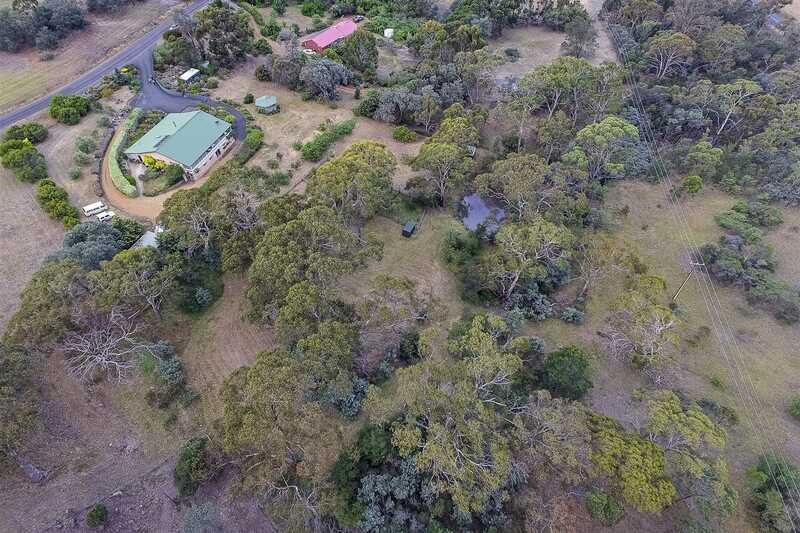 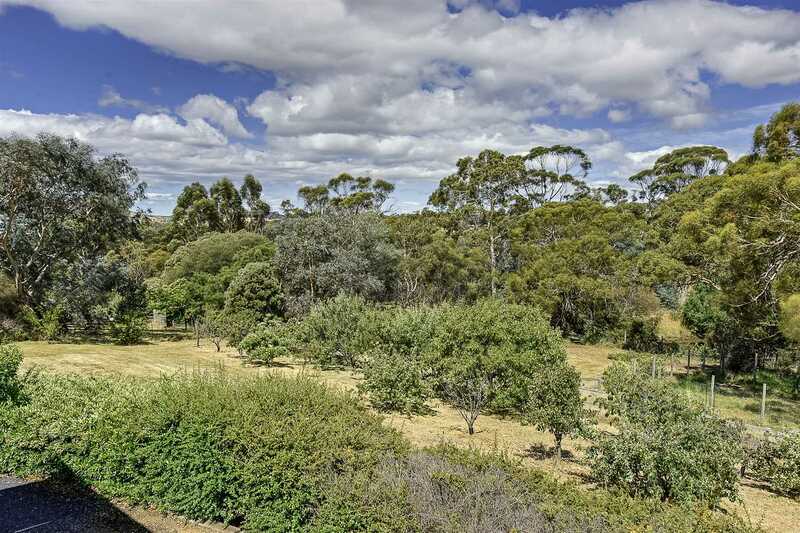 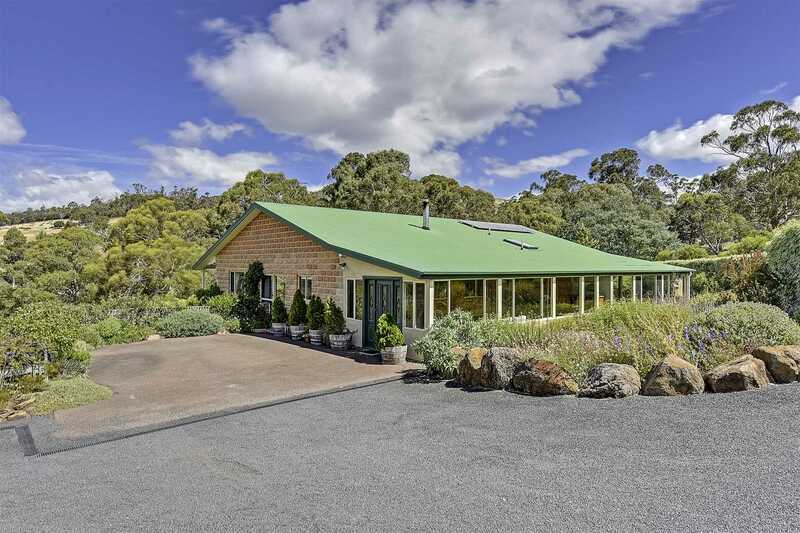 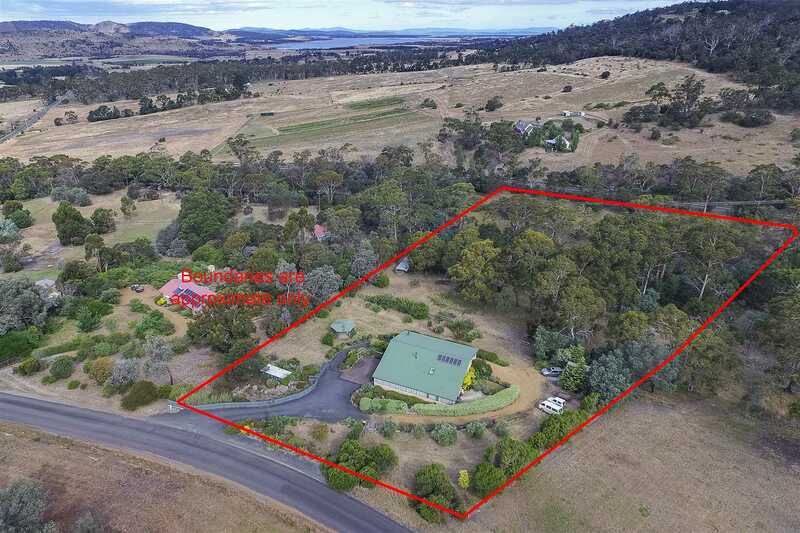 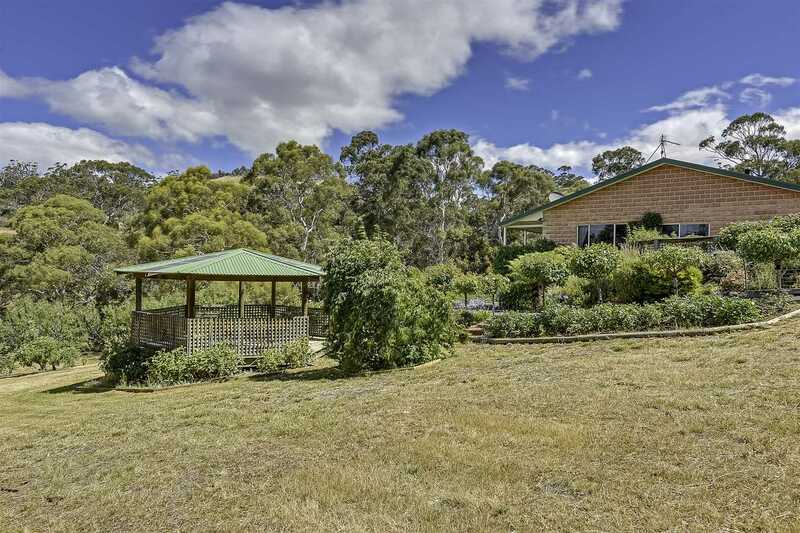 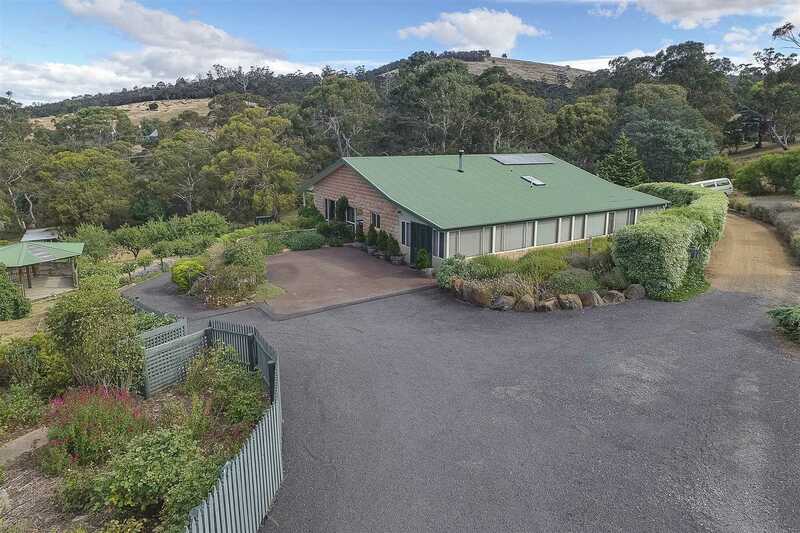 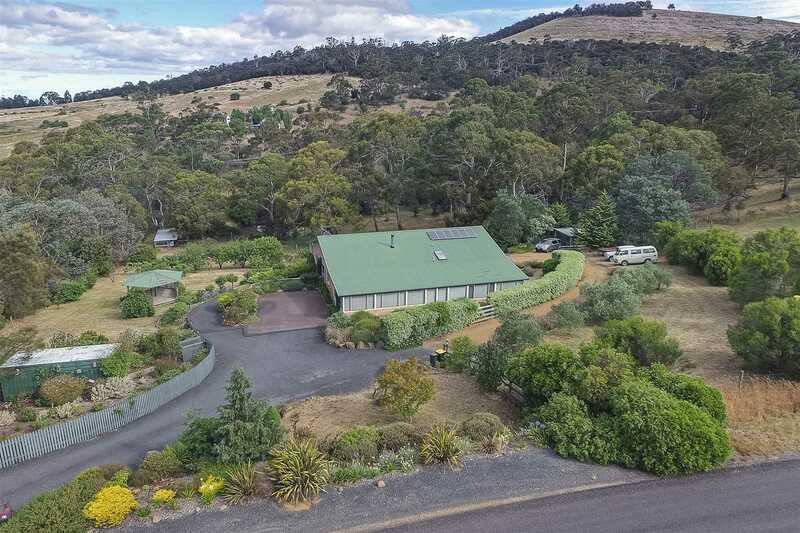 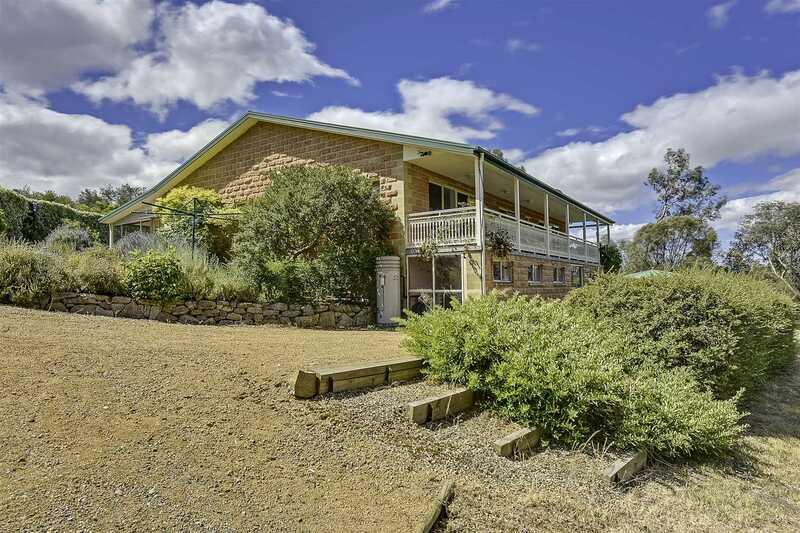 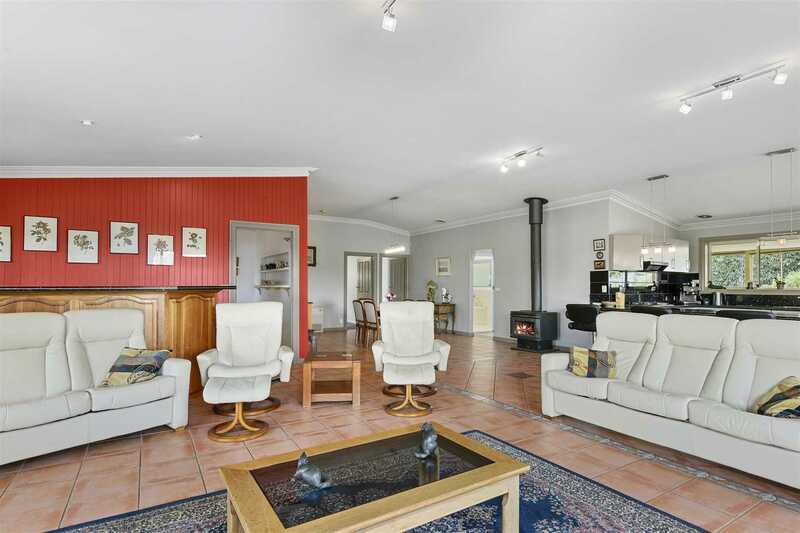 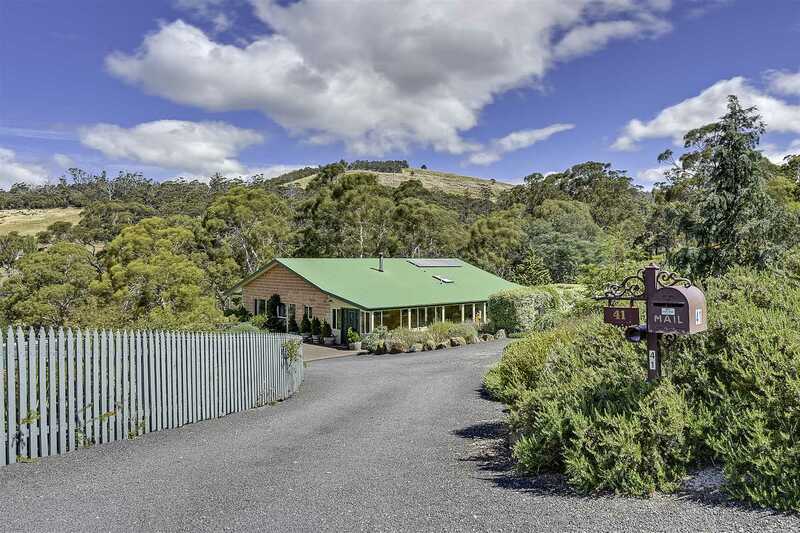 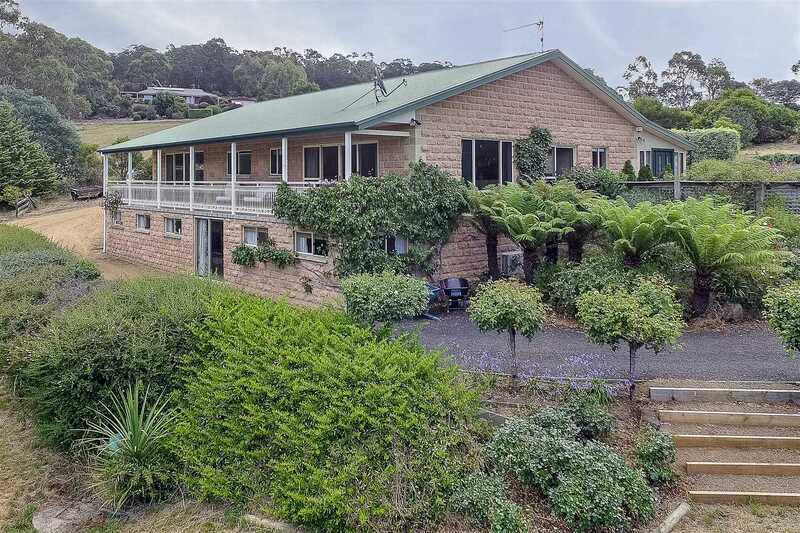 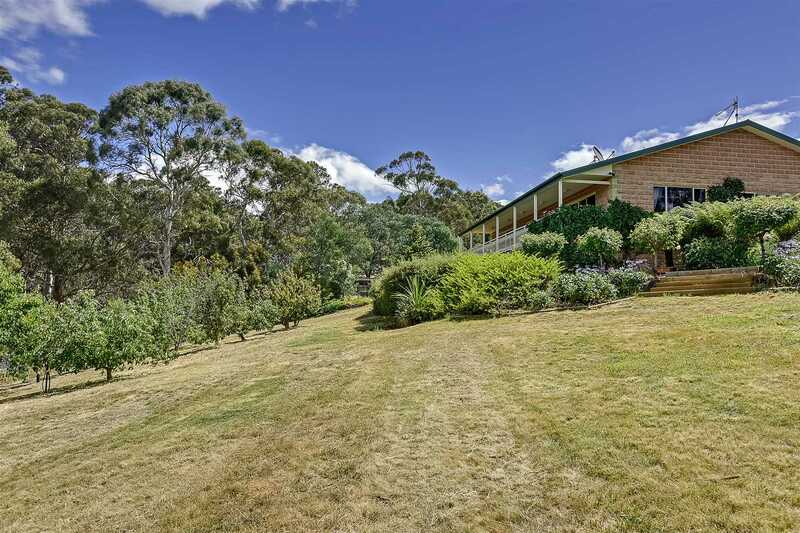 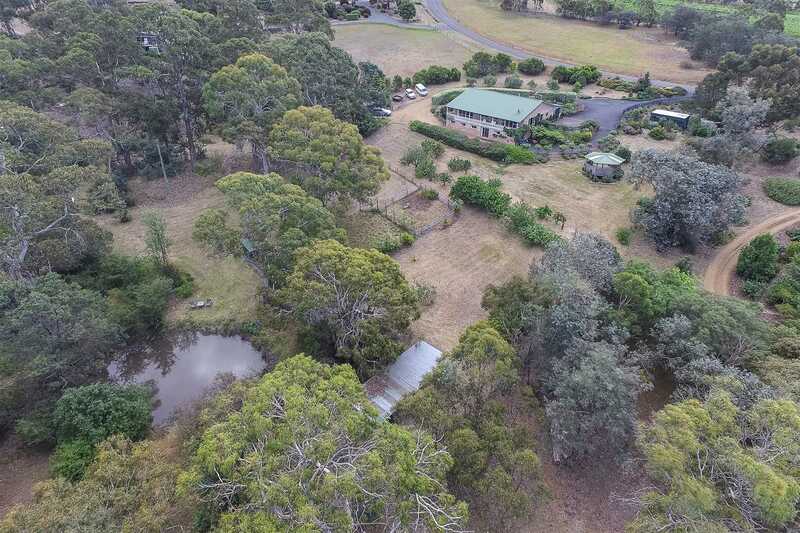 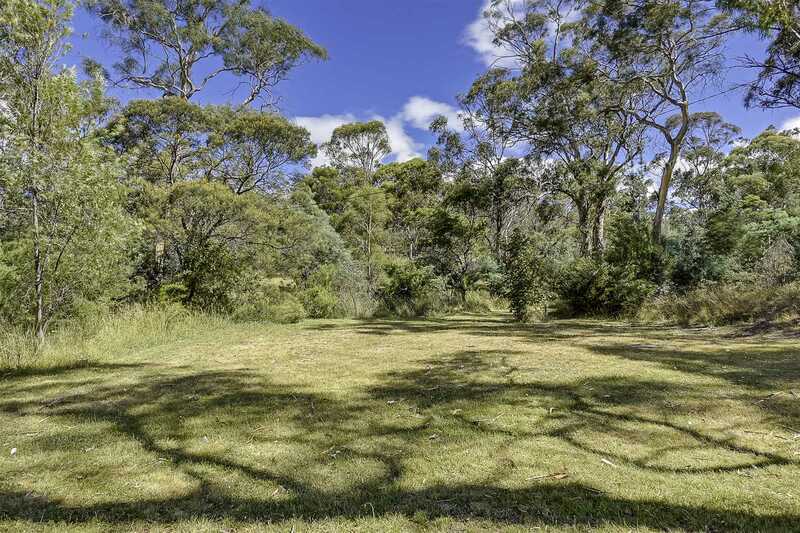 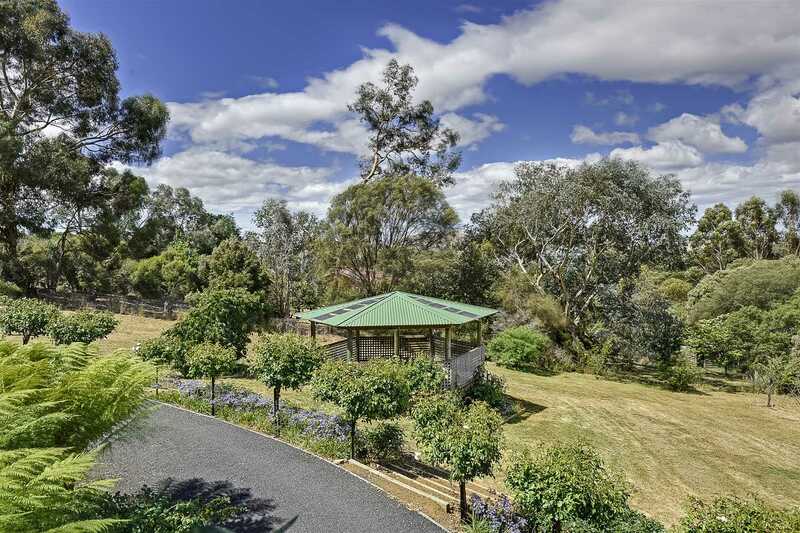 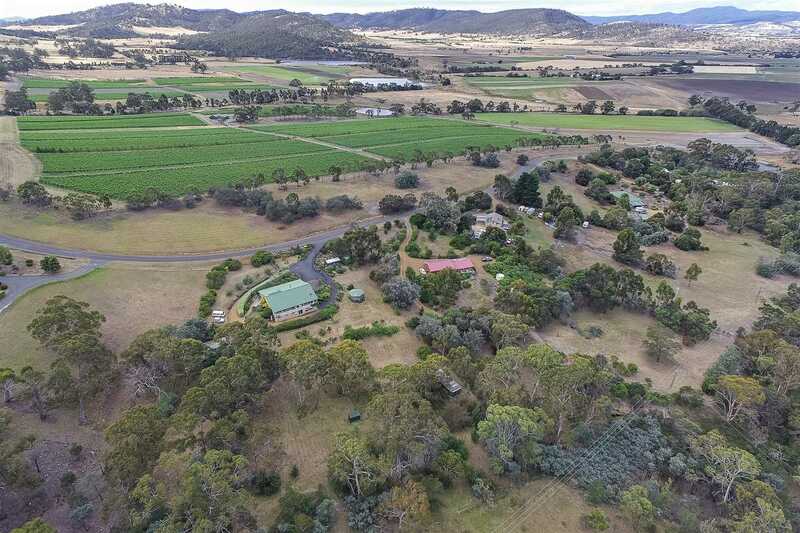 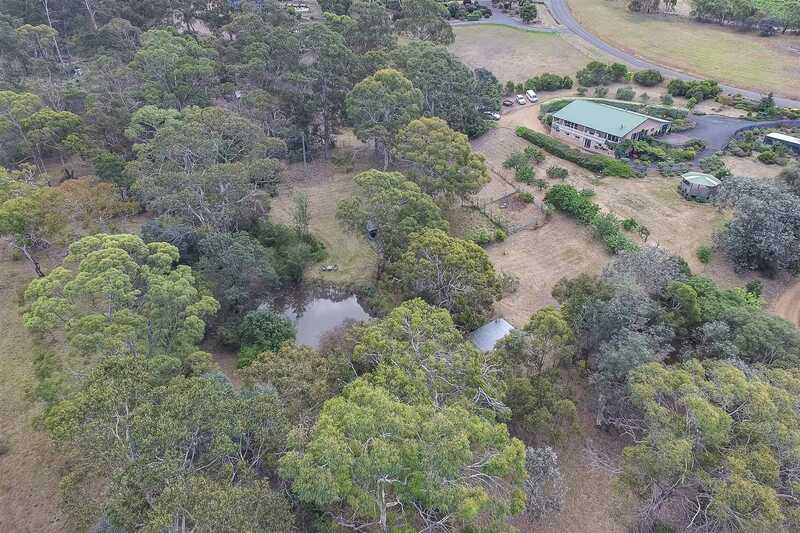 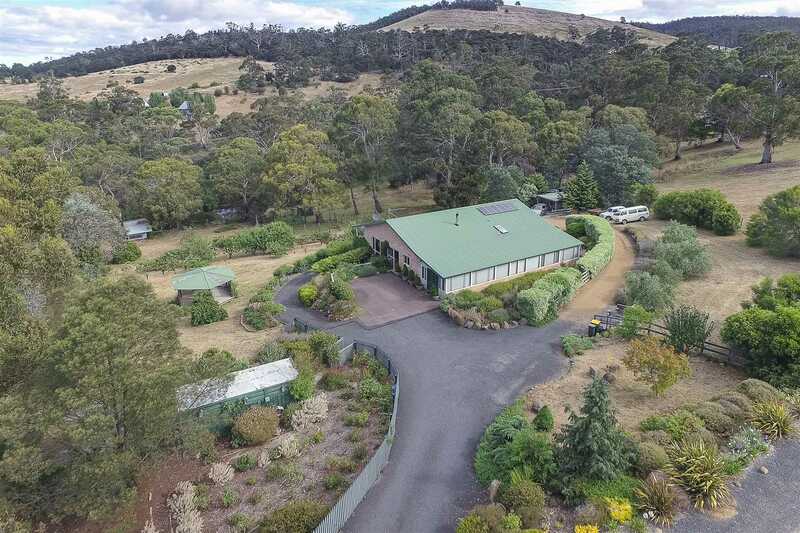 Sitting on 4.5 acres in a tranquil rural setting close to historic Richmond, a mere 20 minutes from Hobart, this well-presented family home offers enviable lifestyle opportunities. 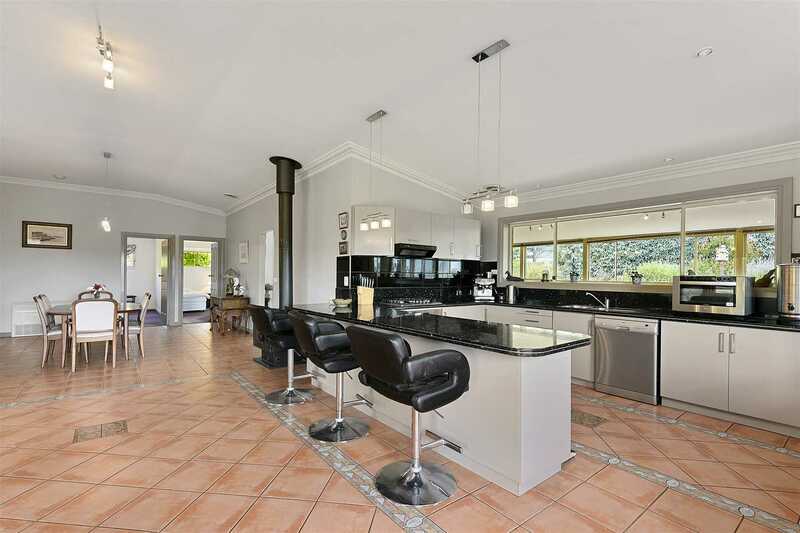 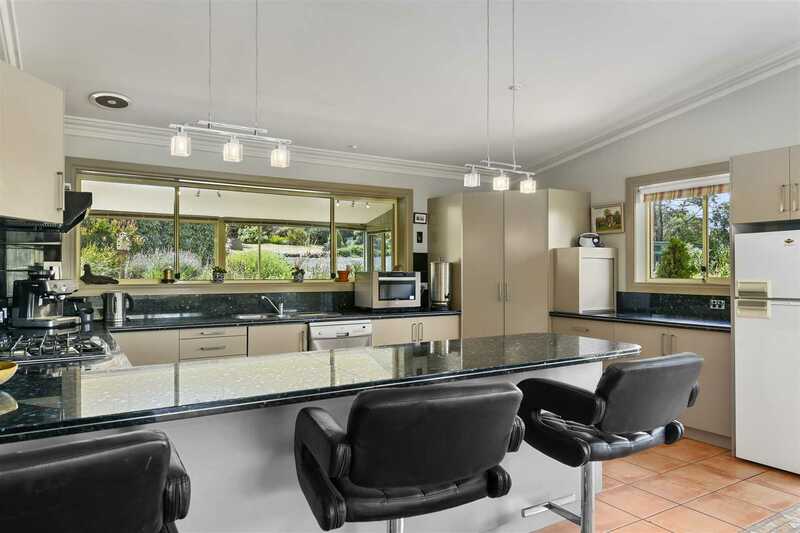 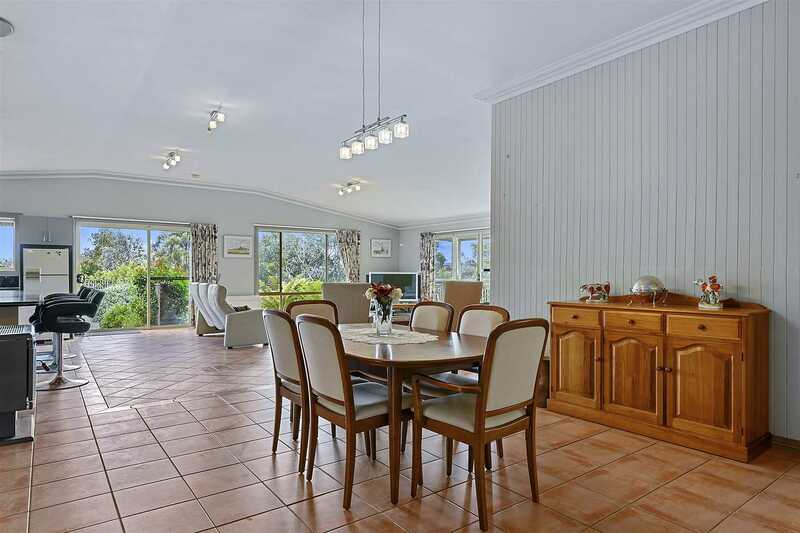 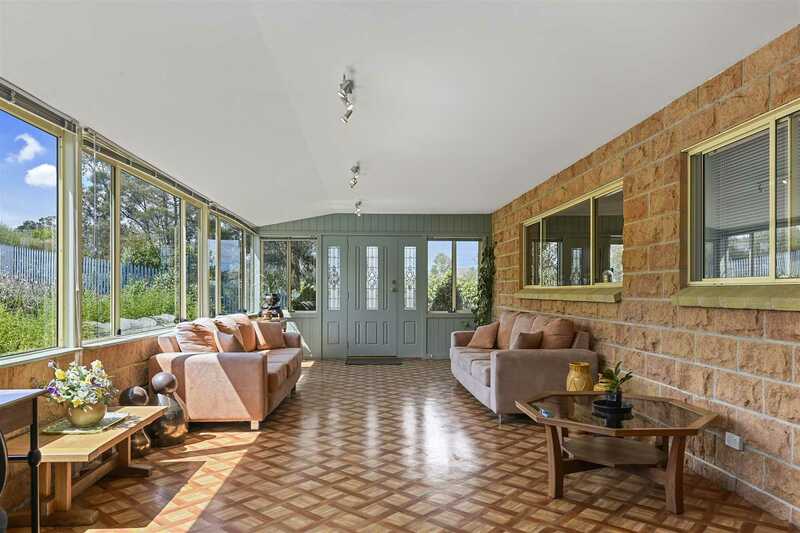 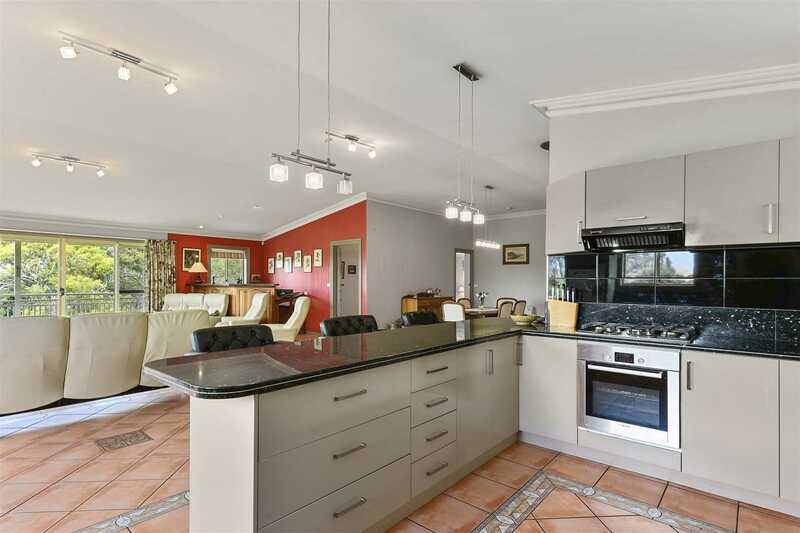 Built in 1997, this spacious brick-veneer residence features a generous open-plan living area comprising lounge, dining room, and a modern kitchen with ample bench space. 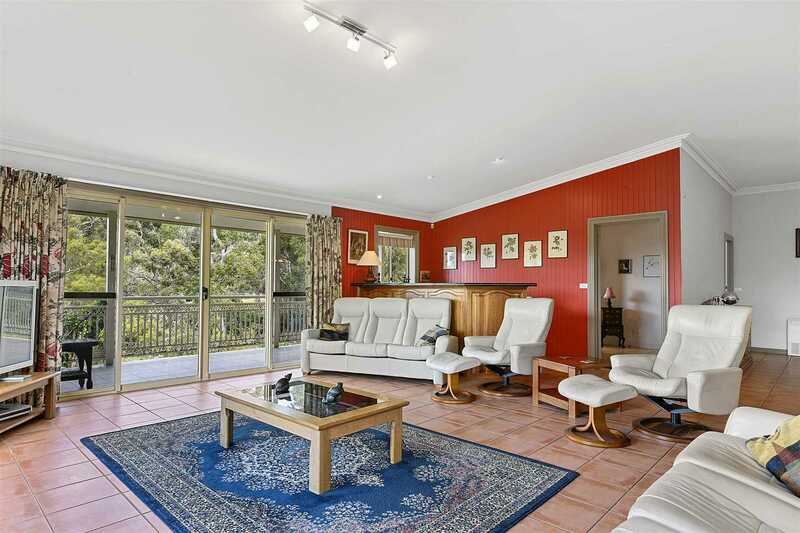 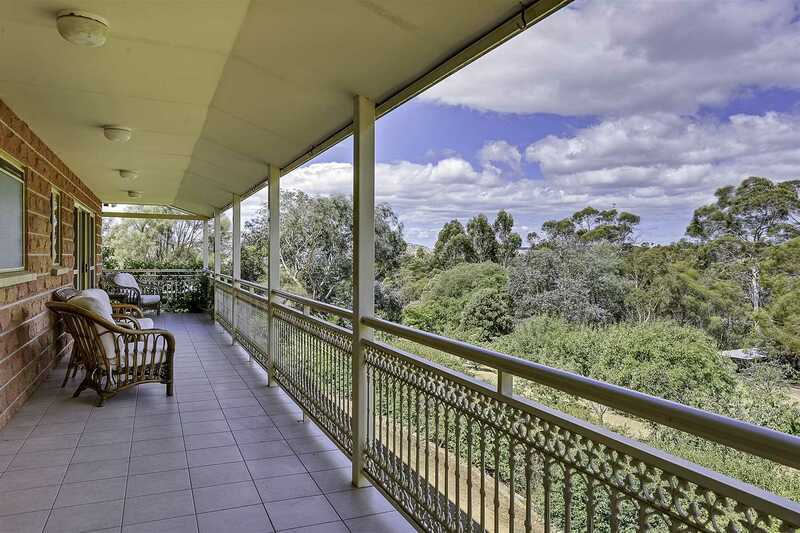 The living area opens onto a full-length verandah with views to the orchard, dam, magnificent gum trees, and surrounding hills. 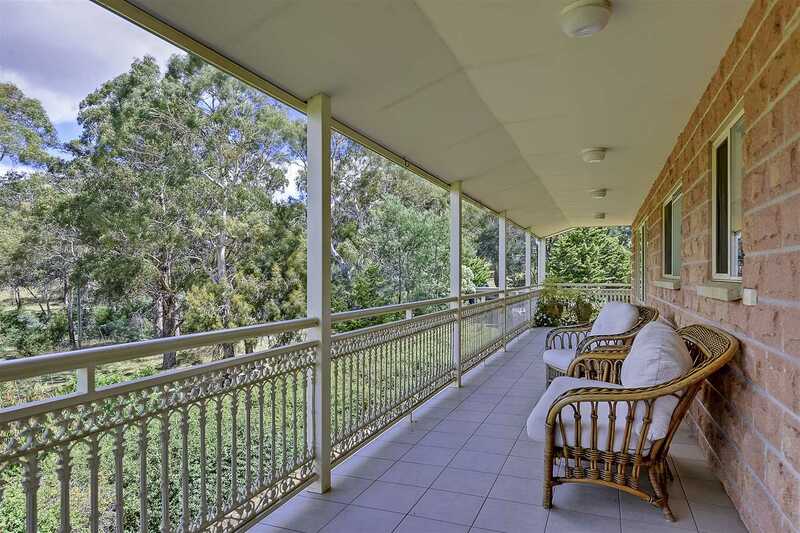 Adjacent to the kitchen is a large sunroom overlooking established gardens. 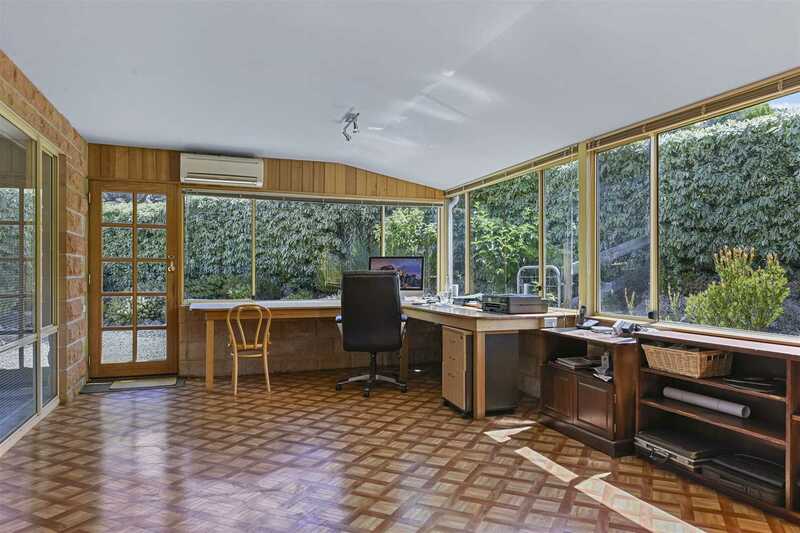 A separate room to the rear is currently used as an office but has potential as a fourth bedroom. 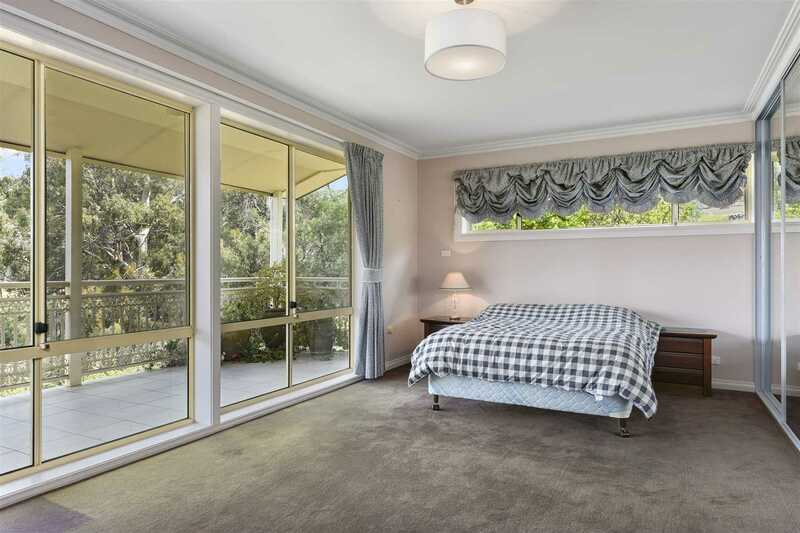 Looking out over the property, the large master bedroom offers an ensuite, built-in mirrored robes and an attached dressing room/nursery. 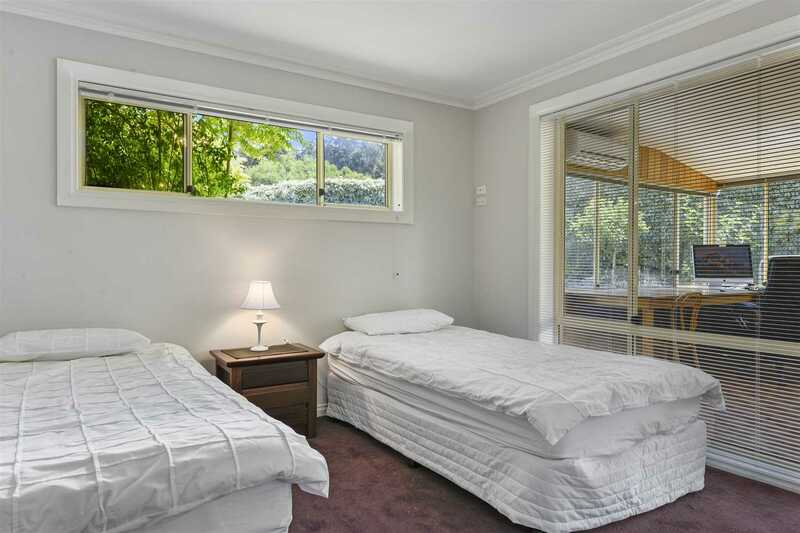 The second and third bedrooms - both comfortably double-sized - also offer built-in storage. 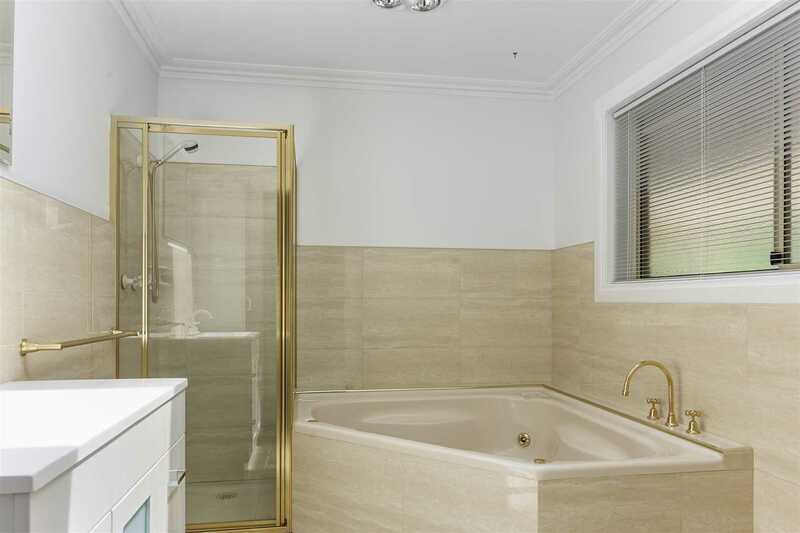 Brightened by a large skylight, the main bathroom features a spa bath and separate shower. 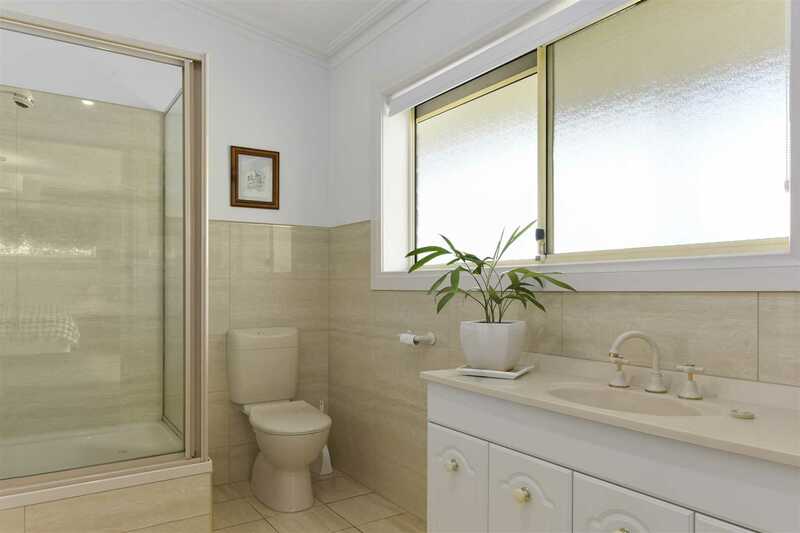 A third toilet and handbasin are located in a useful recreation/utilities room in the 'lower story' below the verandah. 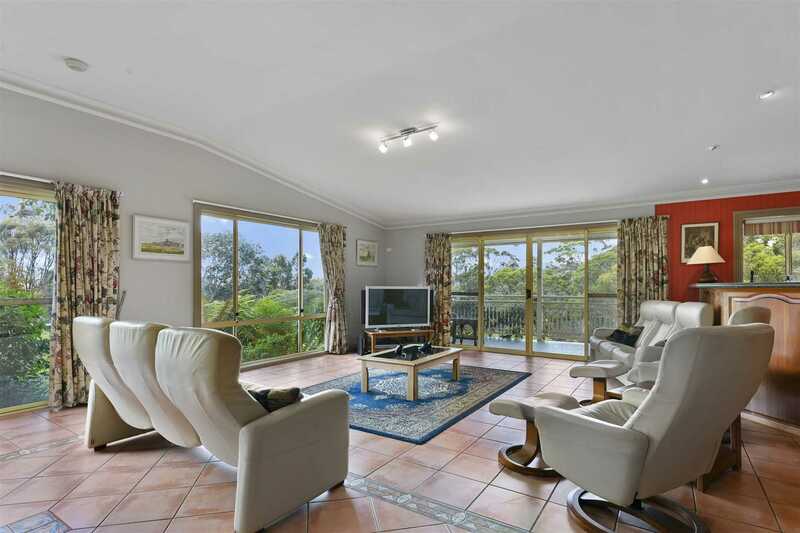 Heating and cooling are provided by a trio of reverse-cycle air conditioners, a wood heater, and heat transfer unit. 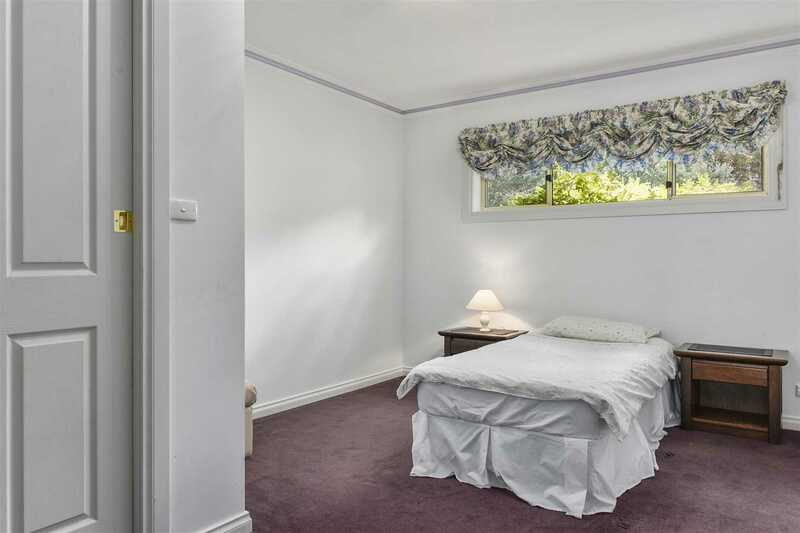 There is also a ducted vacuum system. 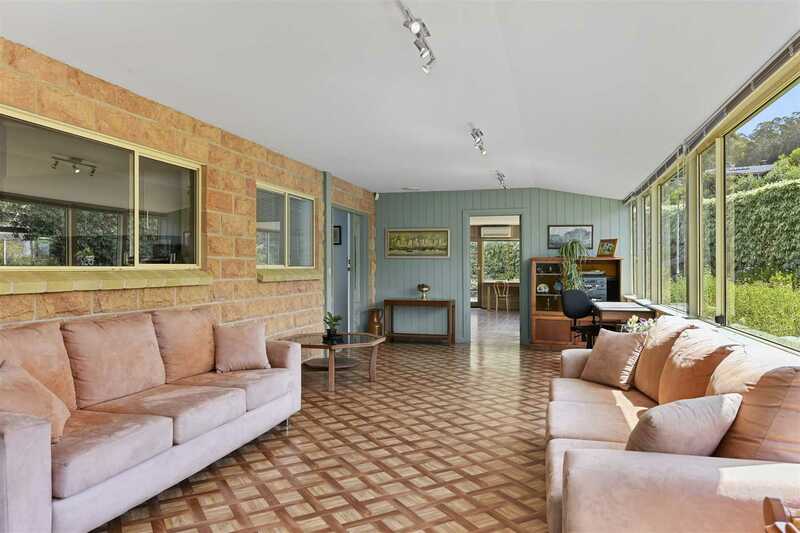 Easy access is assured with a tarred entryway and circular drive, single garage/workshop, and abundant parking. 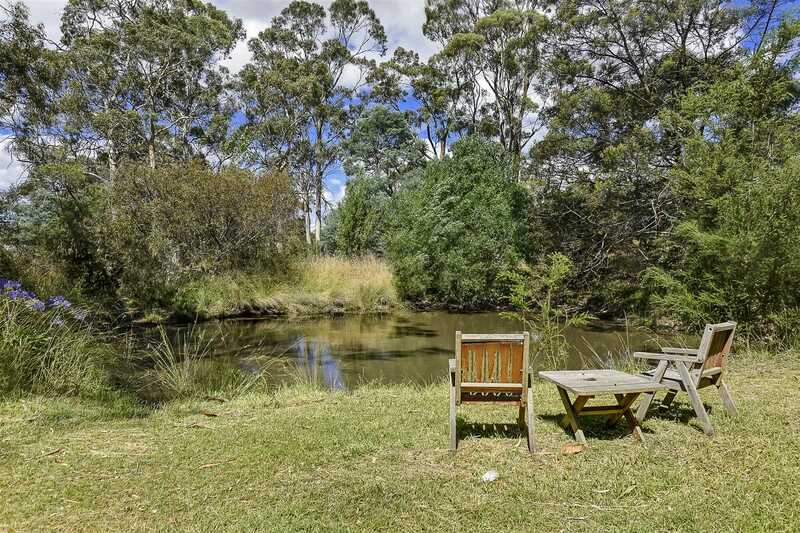 Where this property really excels is outdoors. 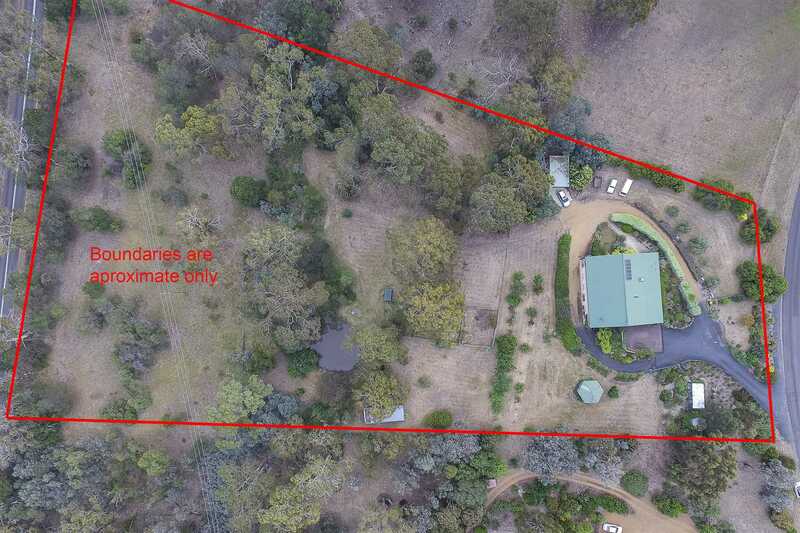 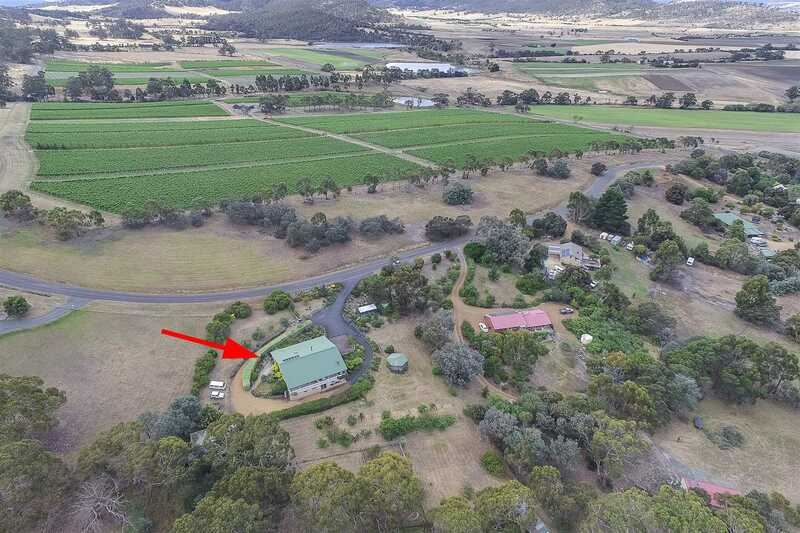 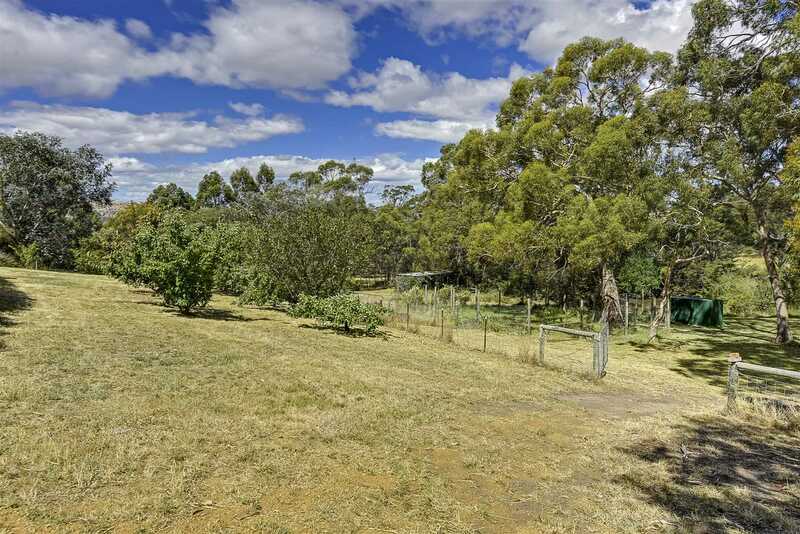 With a creek, permanent dam, and access to the Tolpuddle Vineyard irrigation supply, separate fenced paddocks, an orchard, olive trees, vegetable garden and chicken run, there is ample scope to pursue your hobby farm dreams. 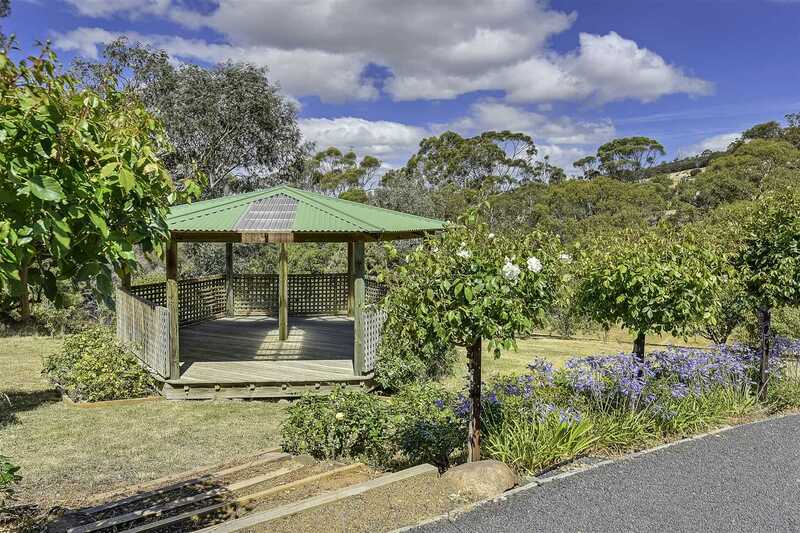 Or, if you prefer to just sit back and relax, you can enjoy the established gardens, blooming roses, and visiting wildlife, from the picture perfect pergola. 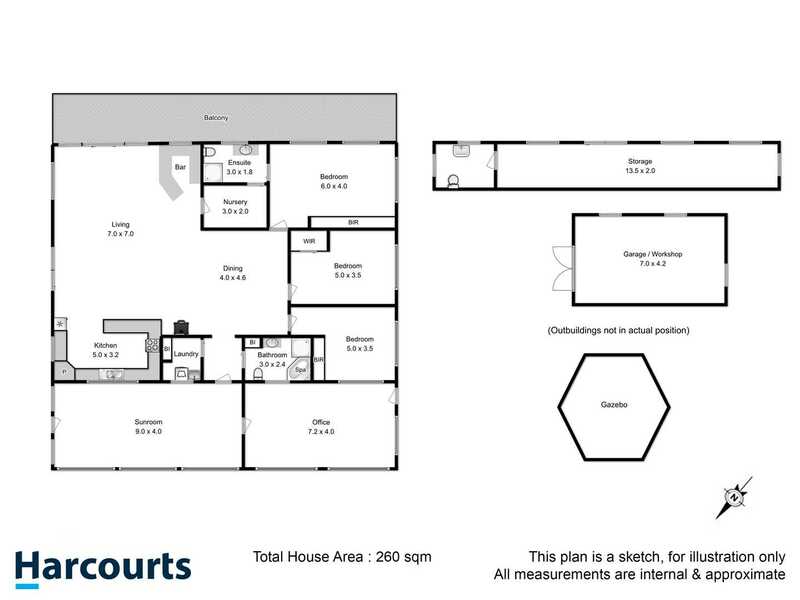 For more information, or to arrange a private inspection, contact Ian Mills via mobile or email.